Britain's Prince Charles was delighted to receive a miniature toy bus recently, sparking speculation his future grandchild could be a boy. 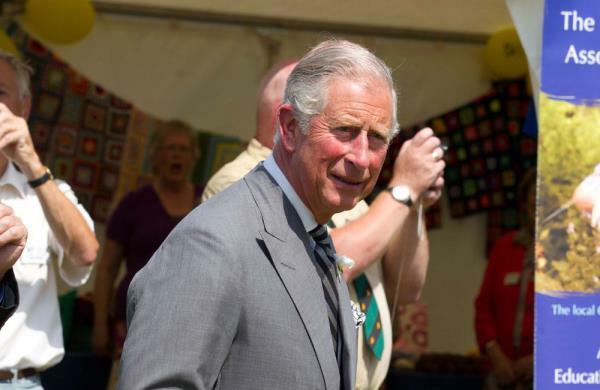 Britain's Prince Charles has raised suspicions the royal baby may be a boy. The 64-year-old royal ? whose son Prince William is expecting his first child with wife Catherine next month ? was presented with a miniature bus model during a visit to a bus factory in Ballymena, County Antrim, Northern Ireland, which he suggested could be an "emergency" toy for the unborn baby. According to the Belfast Telegraph newspaper, the comment was interpreted as a strong hint the child ? who’ll be third in line to the throne ? is going to be a boy, since the toy has typically male connotations. Charles made the remark during a visit to the Wrightbus factory with his wife, the Duchess of Cornwall, on Tuesday, where they climbed aboard one of 600 hybrid-engine red double-decker buses destined for London tourists. The couple also took a tour of the grounds and the factory where the low carbon-emission vehicles are being built, before meeting some of the company’s hard-working apprentices. Ian Hutchinson, an apprentice tutor, enthused, "I've worked here for 36 years and to have someone like Prince Charles come is a great day for the company. "It is a day I'll remember for a long time ? and hopefully the younger apprentices [will] too."